V Imo vom Werraufer SchH3, FH, Kkl1, “A” Scorebook V IMO VOM WERRAUFER SchH3, FH whom we know as Strongheart is an awesome V-rated SCH III import from Germany. Large, strong, jet black with solid working abilities and nice conformation. 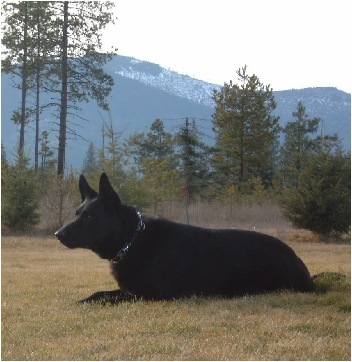 A serious competitor in all three phases of Schutzhund. Nice temperament, clear headed, and confident. Nothing scares him, nothing makes him back down, and yet, he is social, good with other dogs and with children. Great drives, excellent lineage… an awesome addition to working lines!